Hope everyone is enjoying their Labor Day Weekend! 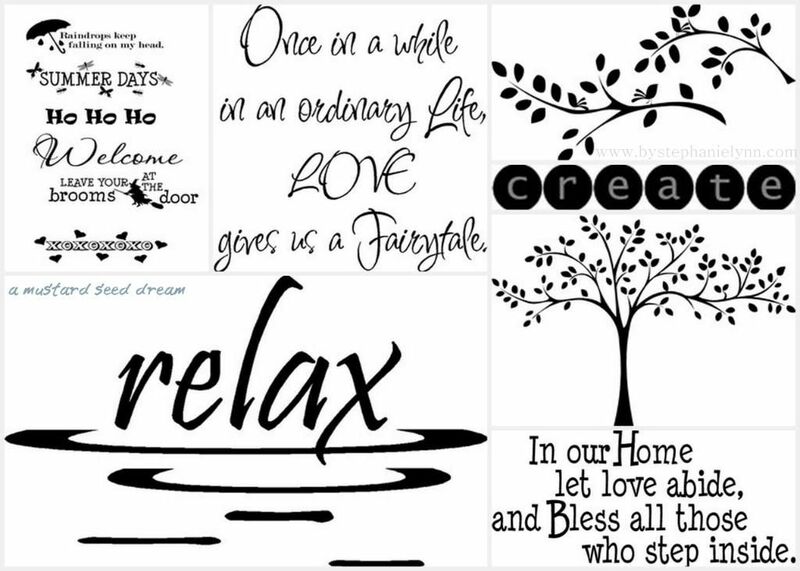 A Mustard Seed Dream is an Etsy shop specializing in custom and pre-designed vinyl wall art, graphics, and lettering. Tara, who began the shop as a creative outlet, is family girl from a small town who is fortunate to be a stay at home mom with her little girl. When she knew that she would be leaving her full-time job to begin her family she still wanted to contribute some to the family income and started A Mustard Seed Dream. She still carries a part-time job working at her local Juvenile Probation Office – the same place where she started her career as a Probation Officer – all while creating, running her business and being a Mom. Tara loves the versatility of her business as she says she has to have change and vinyl is perfect. She puts up many designs but when she is tired of it, the vinyl comes down and a new design goes up. Tara has several premade designs in the shop and loves doing custom design work, as she thrives off of others ideas and thoughts. So if you don’t see something you your looking for – just contact her – she would love to design something just for you! The vinyl stickers can be placed on walls, doors, crafts, vehicles, or windows. The vinyl can also be cut on the reverse, which is great for glass applications. The stickers can be done fairly large in one piece as well as Tara can cut up to 23″ wide. All of the vinyl is for one time use – It’s removable but not re-usable – so a great reason for a little change and to order more. and would like to showcase this week! Have a fabulous holiday ~ Enjoy! So happy ot have a post to share this week. Thanks for hosting – have a great Labor Day weekend! Hey Stephanie, hope your are having a great holiday week-end ! I love the canister vinyl from A Mustard Seed Dream! Thanks for the chance at the giveaway. I “like” UTT&D on FB! I like “AMSD” on FB! Yay! Love the giveaway this week! I like AMSD on facebook! I like UUT&D on facebook now too! Thank you for the giveaway! Love the halloween vinyl. I like (LOVE) UTT&D on FB! Liked AMSD on FB & posted on wall. Hi Stephanie! Thanks for hosting again…enjoy your weekend! I am a follower of your blog and also MMS’s blog. You ladies are so inspirational – my inspiration file is overflowing just with projects from your two blogs. I’d love to win this giveaway – thanks for a chance to win. I love the bed posts from a mustard seed dream! Thank you for the party this week! I love all the vinyl inspiration in the post! I would love to win the gift certificate to mustard seed! Thanks for hosting. I just love the story of A Mustard Seed Dream… and such creativity is inspiring. Thanks so much for hosting again. 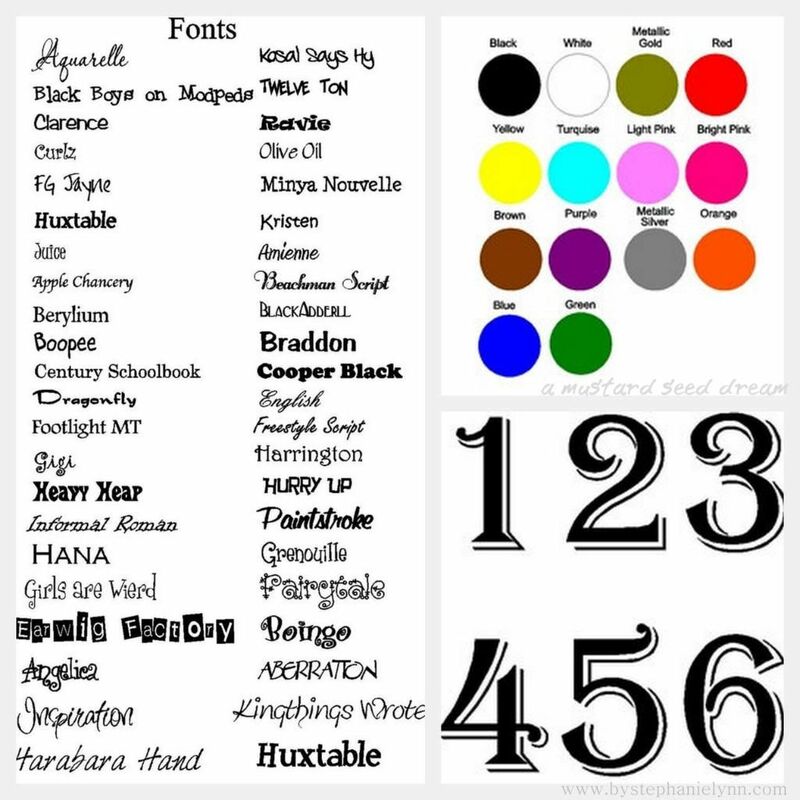 I visited Tara’s Etsy shop, hoping to learn the name of the font used for the numbers on your intro post, but couldn’t find it…could you possibly help? Thanks for considering! I love the headboard/bed posts vinyl!!! I have never seen those before!! Thanks for the giveaway! 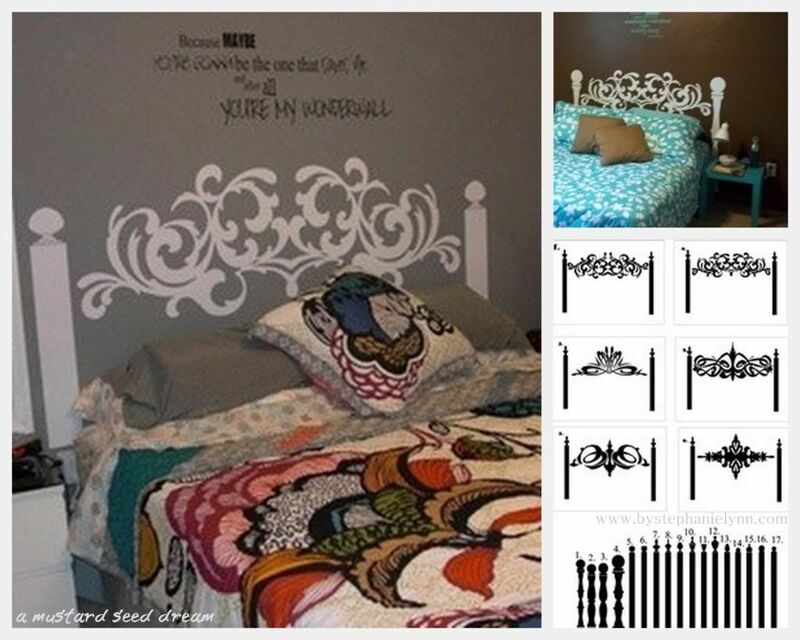 Those headboards are fantastic! So fun! I follow UTT&D on Facebook! Great giveaway! I would love to win. The headboard, the numbers where would i begin…Thank you both for this wonderful giveaway. Each of you are an inspiration for me…everyday and I thank you. I of course like you on facebook too! I love this giveaway! I’m a follower! I like A Mustard Seed Dream on Facebook! Hello! Thanks for the chance to win! Stephanie, Thanks so much for hosting. I am loving the faux headboard. So creative. Thanks for the generous giveaway. Thanks for hosting and for the giveaway! Woohoo, would love to win!! What an awesome giveaway! Please throw my name into the hat! I adore those canister labels! Thanks for the chance. I love this giveaway from The Mustard Seed Dream. My wheels are spinning with all the spaces I’d love to put vinyl decals on. Thanks for the chance to win this. Cute stuff. I love all her fonts! What a fun giveaway!! Great saying. And the lettering choices are delightful. Thanks for hosting! I am your newest poster and follower! Happy Labor Day! Just added this shop to my favorite on Etsy. I love the idea of vinyl decor, so easy to personalize your home. Great giveaway! I’m building gorgeous end tables from scrap wood and am going to top them with some vinyl love. Just connected with you on Facebook. Connected with AMSD on FB. What a fantastic giveaway!! Tara does great work and has fabulous ideas!!! Thank you for the giveaway! Very cool! I always admire a mom who can make her own business! I follow UTT&D on FB. Thanks for the great giveaway! I’m glad she got a business going for herself! I was just thinking I needed vinyl lettering for my photo gallery wall! 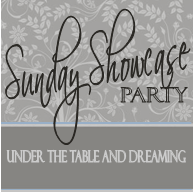 All linked up – thanks for hosting and what a fun giveaway! I would LOVE to win this giveaway! Super awesome!!! Love your posts. So many cute ideas! What a fun giveaway! Thank you for hosting and have a great week! I always love checking out your link parties. So many great ideas. I liked A Mustard Seed Dream on FB! Love all the ideas this week. Thank you! Wow! What a great blog! I’m so glad I found you, and will be following for sure! Thank you for all the hard you work you put into this site, and for hosting this giveaway. I’m looking forward to spending lots of time here gleaning ideas from your archives. Oh! And I really like your showcase! What a neat idea! Brilliant work! And a great idea! Best of luck on your future ventures!! I am so surprised by the idea of the beadpost, I love it ! I love vinyl art, it is a great way to express yourself in your home and add a touch of fun! I follow UTT&D on Facebook. Love her stuffs! I came over from mustard’s blog! Hope you are having a great long weekend!! Thanks for the giveaway and great party! Love all the possibilities . . . Under The Table Facebook Follower. I’m a newcomer to your blog and am so glad I found you! Love the fonts offered in this week’s party. 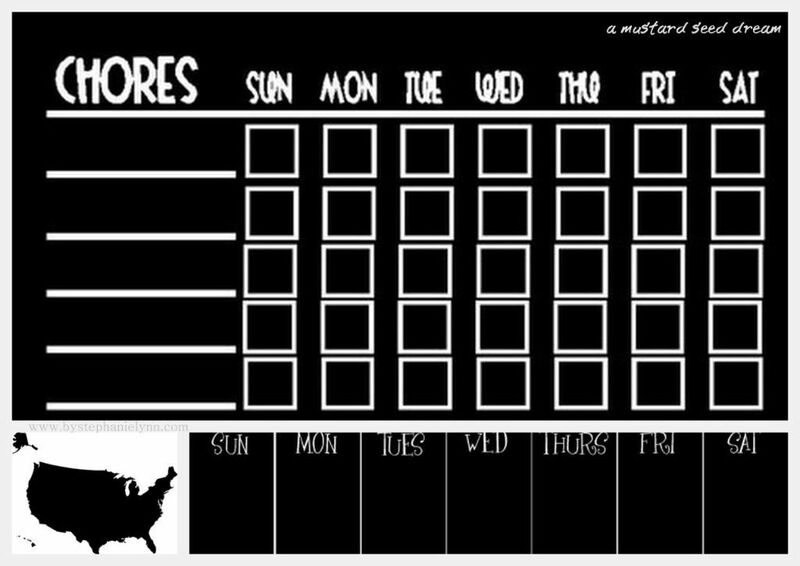 I could really use these to get organized. I subscribe to his emails. Great giveaway. I love decals. Love the stand mixer graphics! Wonderful ideas. 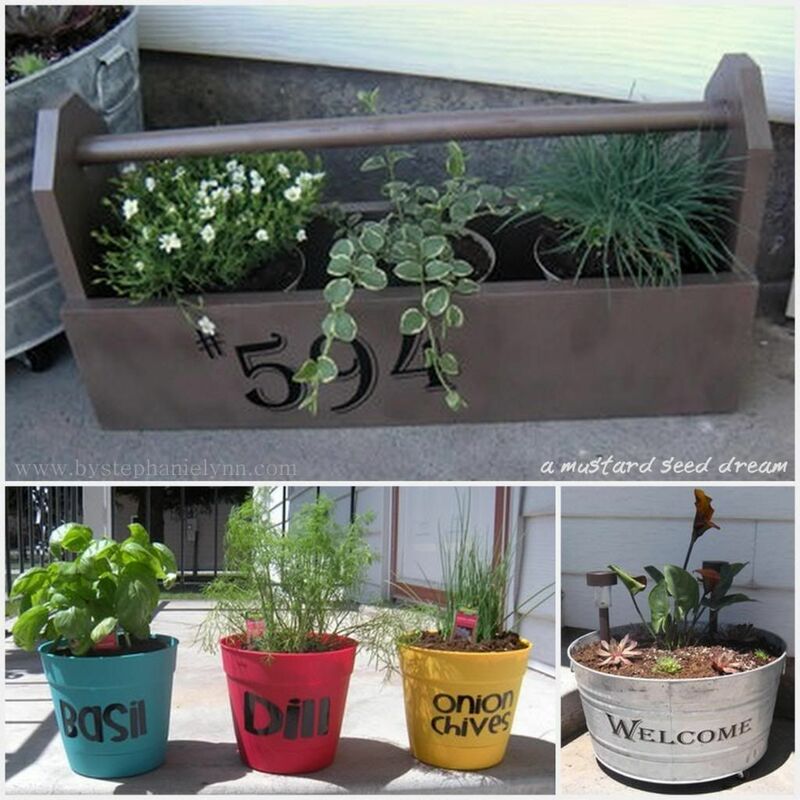 what amazingly creative ways to use vinyl…..love it!!!! Oooo! I’ve been looking for a good source for vinyl wall art. Thanks for hosting the giveaway and the link for Mustard Seed Dream! Love this trend of vinyl wall art; beauty and function meet! 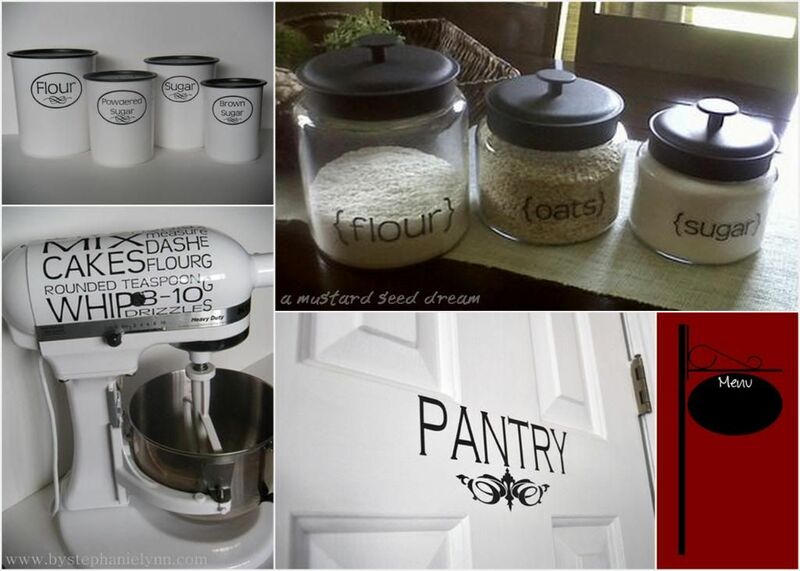 Love the labels for kitchen storage jars – I just bought some new glass jars for my flour and sugar – that would be perfect! I just discovered your blog and I love it! Hoping to win your giveaway! I “liked” your site on FB! I also “liked” a mustard seed dream on FB! Thanks! I am a follower of yours… wonderful giveaway. Thanks for being a great party host! I also “liked” Under the Table and Dreaming on Facebook. Thank you for the opportunity! Great giveaway this week! Their shop is so cute!